ExpoGrafika has more than 30 years of history. It started being a small but booming fair. A space of meeting and business for some of the most important items of our industry. At the first editions could not bring together the whole universe of the graphic and its associated services. But in 2015, under the management of Héctor Palermo and its Argentoner team, ExpoGrafika was finally able to reap what it had sown in so many years of effort and commitment: to become the most important business market in the printing industry in Argentina. The great milestone took place in Tecnópolis, in an edition that exceeded all expectations in terms of presence of brands, exhibition items and audience attendance. 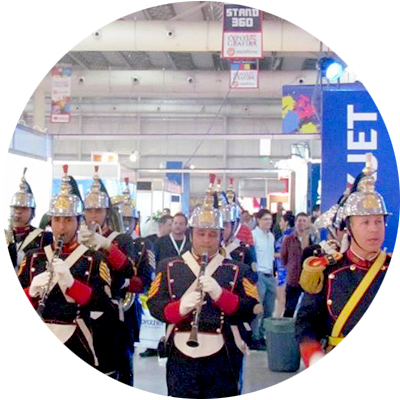 In 2016 we held the first regional fair in Mendoza, as a first milestone in the path that we set out to go to federalize this meeting platform and bring services, innovation and technology to all corners of our territory. Finally, this current year we renew our visual identity because we understand that it is time to go for more, to continue seeking a better harmony with our public and to look to the future with the expectation of continuing to grow, supported both in the solidity of our trajectory and in the Freshness that gives us our impetus to continue innovating, always.